Elegance and space to spare. 5 bedrooms and 8 baths, 2 offices, walk in closets to die for! This two year old home is being sold fully furnished. 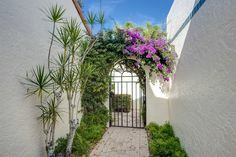 No expense spared on the building of this home in the Moorings, one of the most sought after areas in all of Naples with private beach access and parking less than 1 mile away. 7.1/5.1 surround sound throughout the entire home. 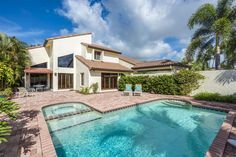 161" 4K HD projector w/7.1 surround in the theater room along with a fully appointed bar and huge deck outside overlooking the 40 ft. endless pool. Security cameras, fenced yard and electric gate protect you and your new home. This home also boasts an ELEVATOR! Oversized three car garage. Dual 70" commercial grade refrigerator/freezers in this beautiful eat in chefs kitchen with exquisite granite throughout. Outdoor kitchen area and the list goes on and on! THERE IS NOT A BETTER VALUE ANYWHERE IN NAPLES, FL !!! !